Cannon Falls students join their Northfield High School Gymnastic teammates in a search for new facilities. Saundra Stodden prepares for her upcoming gymnastics meet. 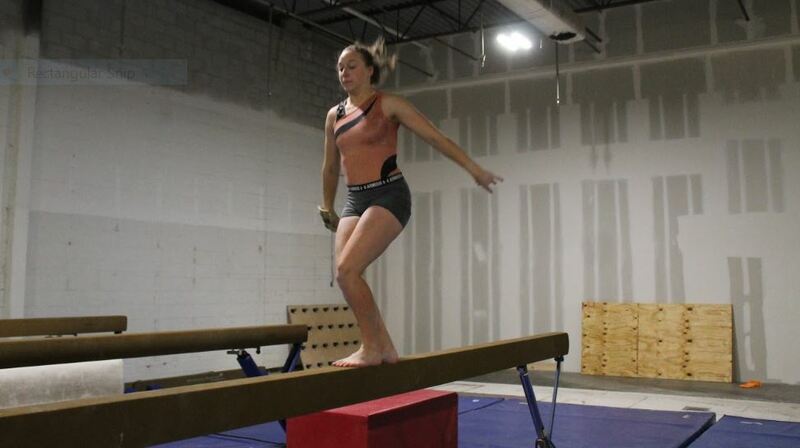 The Northfield High School Gymnastics Team has enjoyed its use of the Northfield Gymnastics Club facilities for the last 24 years. Changes in management have forced the team to seek a new home days before their season started. Their location issues have become a major distraction to in their goal to become a competitive team. The Stodden twins, who are juniors, have been gymnasts since they were two years old and had practiced at this gym ever since. They joined the Northfield High School team when they entered ninth grade, three years ago. 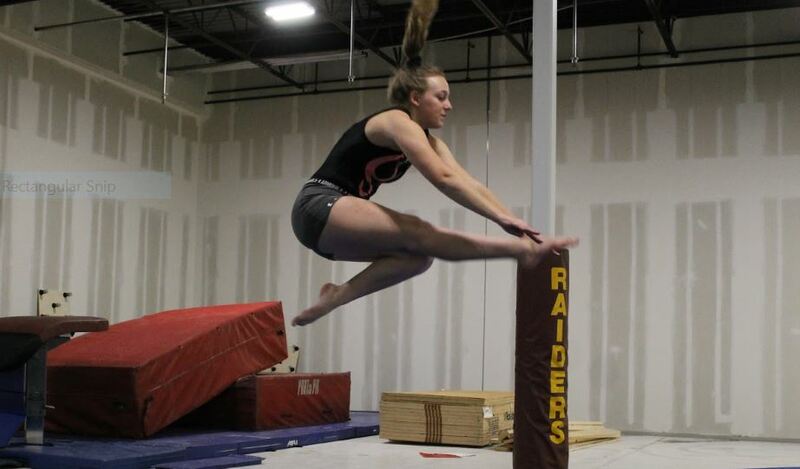 Laurie Miller, a senior, has been in gymnastics since she was three but only joined the Northfield team last year. During the gymnastics season, the three had traveled to Northfield daily for practice until their plans had to be changed. In 1994, the Northfield Gymnastics Club was built for the high school gymnastics team by the school. The team was practicing there since 1994 until the terms of their annual lease were altered. The cost of practicing at the gym and limited times forced the team to find elsewhere to call home. Farmington had generously agreed to let the team practice at the new gym they were building. However, three days before the season was scheduled to start, the team was told the gym would not be built in time due to rain delays. They quickly found a new, temporary location, Saundra explains, “The Faribault Gymnastics team was very kind in letting us practice there for the first two weeks of the season while we tried to find a new home.” This season still showed struggle after struggle for the team as they had yet to find a new place to practice. A gym in Fariboult was their next option which brought disappointment to the girls: “The whole situation was horrible. The twins and I were questioning whether we could even do gymnastics anymore because of how far the commute would be, but we didn’t want to quit the sport just because one woman tried to ruin our team,” expressed Miller. They decided to stick with the sport despite the seemingly never ending challenges.